Discussion in 'General Discussion' started by ratagonia, Oct 7, 2018.
wisconnyjohnny, hank moon and Austin Farnworth like this. I am asking because I don't know. Are you posting this because the group is illegally exceeding the group size (max group size of 12)? That was my thought, but your post on the FB page says "Sweet". The place is sweet, and debauched. Bootboy and Austin Farnworth like this. Asked "What's wrong with this picture?" Reminded the person that he/she was illegally exceeding the group size (and by quite a bit-I count at least 26 people in that photo). I see neither, so either you're going soft, or trying to confuse us. As you have demonstrated, Scott, I no longer have to say those things. In 2015 when we were in Coyote Gulch there was no limit on group size. Large groups create large impacts in the backcountry. The group size limit for Coyote Gulch is 12 people. 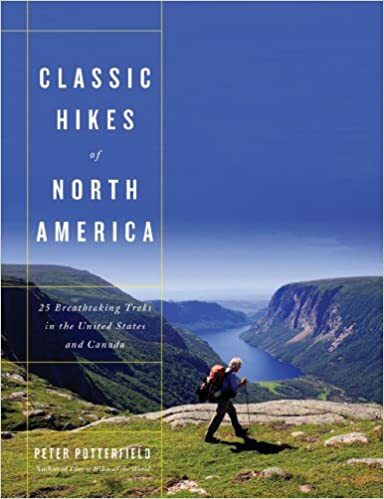 Groups larger than 12 people must break up into smaller groups and maintain a minimum distance of ½ mile from each other while hiking and camping. Group size limits are strictly enforced. Permits will be denied and violators will be cited if limits are exceeded." Yes, this. I remember when my dad led a WMC trip there and we had to split the group into two because of group size. This was in April 1988 and more than 30 years ago. 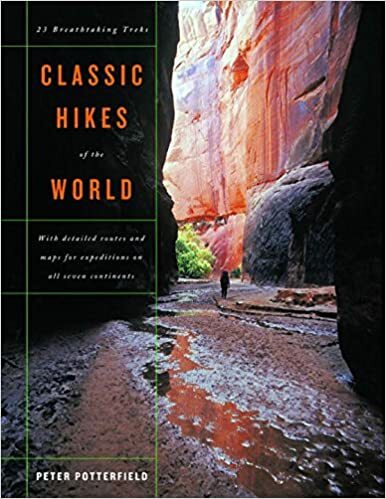 The guidebooks Hiking the Escalante (1985 and 1999-not sure if mentioned in 1985 edition, but I assume so), Canyoneering 2 (1995), and Canyoneering 3 (1998) all mention the group size limit of 12 and all of these books are decades old. The regulation has been in place for decades. To my knowledge all designation wilderness and NPS lands (Coyote Gulch is in the Glen Canyon NRA) have group size limits and have for a long time. Max allowable group size varies in different wilderness and NPS lands, but they always exist now days. My guess would be that the group size limit in Coyote Gulch dates back to 1972. To my knowledge all designation wilderness and NPS lands (Coyote Gulch is in the Glen Canyon NRA) have group size limits and have for a long time. Coyote Gulch is in an NPS unit called Glen Canyon National Recreation Area. NRA's are not National Parks and are managed under a different philosophy. As far as I know, the ONLY place in Glen Canyon NRA that has a group size limit is the Canyons Of the Escalante area. The rest does not. Information on such is hard to come by on their website. In other words, NO. NPS units vary widely in their management plans. Gettysburg Battlefield might have a group size limit, but I suspect it is not 12. As far as I know, the ONLY place in Glen Canyon NRA that has a group size limit is the Canyons Of the Escalante area. The rest does not. Nope, it's the entire NRA. Information on such is hard to come by on their website. The maximum group size limit of 12 persons in backcountry areas is established to minimize impacts to the fragile desert environment and on other backcountry users. Large groups cause more impacts to natural resources resulting in a concentration of human waste and trampling of soil and vegetation, especially in campsites. Large groups are also more obtrusive to other visitors and complaints are received each year about oversize groups from individuals or smaller groups who are seeking the quiet and solitude of a wilderness experience. Although not absolutely uniform to all agencies, 12 is a common industry standard and is applicable in the interest of resource protection and consideration for other visitors. The group size limit is not applicable to those persons camping along the Lake Powell shoreline because most of these groups camp aboard vessels or below the high water mark where resource impacts are minimal or easily managed. Escalante gets the attention because that's where most of the backcounty use is, but the rule is applicable to the entire NRA. NPS units vary widely in their management plans. Yes, but as far as I know, they all have group size limits. So do wilderness areas. Group size does vary between users and units though. Even in Glen Canyon NRA, without a permit, boaters are limited to groups of 40, which is significantly different from that of backcountry hikers. The maximum group size limit of 12 persons in backcountry areas is established to minimize impacts to the fragile desert environment and on other backcountry users. The group size limit is not applicable to those persons camping along the Lake Powell shoreline because most of these groups camp aboard vessels or below the high water mark where resource impacts are minimal or easily managed. Thanks for digging that out, Scott. As you discovered, it is the entire NRA, EXCEPT for certain places. Which is pretty close to being the entire NRA, but not the same. But it is good to know that it applies to all the hiking areas. "oh yeah we did separate permits"
There's been some speculation that it was BYU organized but that is only speculation. My count in the photo is 26 people. Over double the group size and separate groups are required to have some distance. BYU doesn't allow official outings by their club groups. Which is kind of ridiculous, since it's led to the creation of groups that offer "free guiding" to do things like rock climbing and canyoneering by "expert" students instead. My wife led a group there last year. There is most definitely a 12 person limit on the permit.